Beth's Super Awesome Blog: Another new job? WHAT? What's in the news today? Well I got ANOTHER new job! Yay! 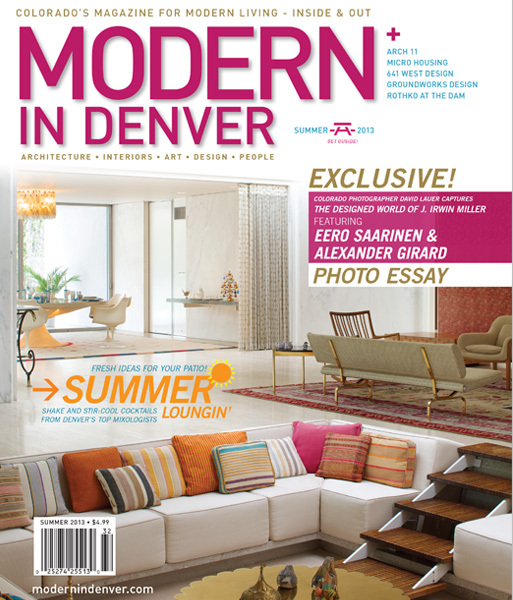 I just started working with Modern in Denver Magazine. I'm going to be helping them part-time with social media, email advertising, writing & editing, blog updates, general office help, etc. I'm so excited! It's a little strange to be working two part-time jobs instead of just one full-time, but I think I might actually like it. I tend to get tired of the same thing every day, and I like the idea of having things changed up a bit. I should have a pretty set schedule soon as well, so that's AWESOME - and I'll even have WEEKENDS OFF!! WOOHOO!!! That made me so friggin' happy. I feel so lucky and blessed that this all magically lined up for me (I really do think there was some magic involved), and I can't thank you folks enough for being so helpful and supportive during this whole process! It's going to take a little bit of adjustment over the next month or so (I'm gettin' my feet wet - bear with me), but I think it's going to be really good for me. And did I mention that I'll have WEEKENDS OFF??? Hehe. I'm pretty happy about that. you just landed my dream job! congrats beth, this is awesome! No way, man!! I didn't know that this was something you wanted to do! Well heck! I'll put in a good word for ya for the future. ;) Thanks, darlin'! Yea for another awesome part time job and weekends off so you can come hang out in the mountains!